Alberta must become a world leader in environmental stewardship or risk being left behind, Premier Jim Prentice said Saturday in Banff. In a speech to Progressive Conservative Party members at the annual general meeting, Prentice highlighted the need to get Alberta&apos;s energy, forestry and agricultural resources to market as one of the PC Party&apos;s five priorities heading forward and said that finding a market for those products will be the biggest obstacle to the province&apos;s future prosperity. "We will either be leaders here at home and around the world or we will be left behind to market our energy solely into an increasingly congested North American marketplace," he said. "Simply put, our future prosperity is tied to the demands of a growing and changing world." 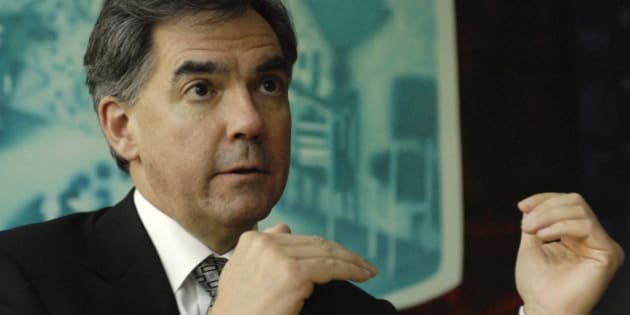 Prentice vowed to work with the province&apos;s partners — including British Columbia and First Nations — to define Alberta as an environmental leader and develop opportunities to get Alberta&apos;s natural resources to global markets. As well, Prentice said his government will introduce changes to the province&apos;s accountability rules next week that aim to crack down on bad behaviour. The new rules will govern the actions and behaviour of public officials but Prentice did not go into detail about how far they would go. "Every member of my government will be held to the standard of being a servant of Alberta," he said. "It isn&apos;t just about rules and directives and laws. It is about entrenching the values that Albertans want to see in their Premier: frugality, common sense, humility, decency and respect for the taxpayers of this province." Prentice said the party is focused on living up to the expectations of Albertans who voted to give them a second chance in four recent byelections.